You’ve probably heard of at least a few of the wonderful benefits of tumeric, the flavorful spice that gives Indian curries their distinctive yellow color. The spice has been used in ancient Ayurvedic medicine for over 4,000 years. Today it's more widely in demand than ever as a go-to healing ingredient that's used to treat conditions as diverse as minor cuts to Alzheimer’s Disease. Since the 1900's, scientists have published over 11,000 studies documenting turmeric's wide-ranging health benefits, making it one of the world's most well-researched natural health remedies. But the real secret to turmeric's success is in the compound curcumin. We’ll also discuss how long it takes for turmeric/curcumin to work, and cover the topic of turmeric for pets. Read on for an in-depth overview of curcumin's health benefits, guidelines about how much to take, and how to find the best quality supplement. Curcumin is a powerful anti-inflammatory and antioxidant compound which benefits your skin, metabolism, heart, blood vessels, and even your brain. It's technically classified as a “polyphenol,” a class of natural plant-based substances well-known for their anti-inflammatory and antioxidant effects. Curcumin works at the cellular level in almost every different part of your body — which is why its benefits extend to preventing and treating so many diverse conditions. Tumeric is made from the rhizome (underground stem) of the plant Curcuma longa, a flowering plant native to Asia that is part of the same family as ginger. When the root is dried and processed it contains about 2-5% curcumin — the active compound with the most health benefits. Turmeric and curcumin are two of the hottest compounds in natural health today. I personally try to use curcumin every single day! After I tell you about some of the best, research-backed health benefits, I think you'll understand why curcumin deserves a place in your daily health regimen too. When the body is damaged from injury, illness, exposure to environmental toxins, or even oxidative stress, inflammation is its natural response. Short-lived inflammation is a natural process that helps your body heal, repair damage, and function at its best. This is how our bodies fight off pathogens that cause disease. Without inflammation, bacteria, viruses, and other disease-inducing microorganisms could cause significant damage — and even death. Common symptoms of inflammation include raised temperature, swelling, redness, and pain. Problems arise when the healing process is incomplete and the body is in an inflamed state for too long, which is otherwise known as chronic inflammation. When the body is in a state of inflammation for an extended period, tissues can become damaged. Curcumin might be the most powerful natural anti-inflammatory we know of; in fact, it might even be more effective, in some instances, than over-the-counter anti-inflammatory drugs like aspirin. And curcumin might not only improve the symptoms of diseases caused by inflammation but also prevent the onset of such diseases. Many diseases are caused by the harmful effects of oxidation in our bodies, which is essentially the same reaction that causes metal to rust. Scientists call this process oxidative stress (OS). OS is common in diseases such as the heart, lungs, and brain, since they use a lot of oxygen. OS is also associated with, and may even cause, age-related degenerative diseases such as Alzheimer’s. First, curcumin can neutralize the free radicals that cause disease and prevent them from causing damage. Second, it triggers antioxidant enzymes which boost the body’s own defence system against OS. Poor diets, expanding waistlines, and unhealthy blood sugar levels are some of the most common health problems that we face in the developed world. Insulin resistance, metabolic syndrome, and diabetes are also on the rise, and are contributing to a global epidemic of unnecessary health problems and even death. Long term, high blood sugar levels can also cause nerve damage, prevent wounds from healing, and lead to other health problems like vision loss. There is mounting evidence that curcumin could help maintain normal blood sugar levels by preventing the body from producing an excess of glucose. When there is a proper balance of glucose, the body uses it more efficiently, promoting the production of insulin in the pancreas. In one study, pre-diabetics were given curcumin capsules or a placebo for 9 months. A significant number of the subjects taking the placebo developed Type 2 diabetes, compared to none of those taking curcumin. In another study published in The Indian Journal of Biochemistry, diabetic patients were randomly divided into two groups. In one group, the subjects were given curcumin in addition to the diabetic drug Metformin, and the subjects in the other group only received Metformin. The role of curcumin in lowering blood sugar is good news for both people who already suffer from diabetes, as well as the millions of people who are at risk of getting this disease. Curcumin might also have an important role to play in the treatment of diabetic neuropathy, a serious and common complication of diabetes that damages the nerves. The resulting pain and discomfort is not the only symptom; neuropathy often leads to serious problems such as muscle weakness and vision loss. The results of a study carried out on rats suggested curcumin could reduce foot, arm, leg, and hand pain caused by diabetic neuropathy. Curcumin has been used for centuries in Chinese medicine to enhance brain function and wellbeing. Modern research supports this claim. If you're reading this, you're probably already aware that our diets can affect our brains. On one hand, regularly eating highly processed, sugary junk food increases inflammation and oxidative stress, which can lead to disease. On the other hand, including brain-healthy foods such as curcumin in your diet enhances cognitive function, memory, and focus and can reduce the risk of you contracting degenerative brain diseases. Older people who regularly consume curcumin as part of an Indian diet have better cognitive function and lower instances of neurodegenerative diseases like Alzheimer’s, Parkinson’s and multiple sclerosis. In a study carried out over 18 months, adults aged 50 - 90 with normal brain function were given 90 mg curcumin twice daily or a placebo. Scientists don’t know exactly how curcumin improves brain function, but they know that as well as reducing inflammation and oxidative stress (two major causes of brain disease), curcumin can also cross the blood-brain barrier. The blood-brain barrier is a lining of endothelial cells that protect your brain. Curcumin is one of the very few substances that can pass through this barrier and nourish your brain. Scientists also know that curcumin increases levels of the growth hormone brain-derived neurotrophic factor (BNDF) which enables your neurons to continue to form new connections in adulthood. People who suffer from Alzheimer’s often have low levels of BNDF. Boosting BNDF could slow, treat, or even possibly even prevent the disease. An increase in BNDF may also improve your general brain health by enhancing memory, focus, and learning systems. Although there are only a few human studies available, early research suggests that increasing BNDF levels and reducing inflammation and oxidative stress in the brain could also have a positive effect on depression and anxiety. Curcumin also appears to alleviate symptoms of anxiety and depression by boosting the mood-enhancing neurotransmitters serotonin and dopamine. And a third way that it can help us ease anxiety and depression is by increasing our DHA levels. DHA is an omega-3 fatty acid that is known to be low in people who suffer from anxiety. In one study, 60 people were randomized into three groups and given either Prozac, curcumin or a combination of the two. This is really good news for people who suffer from depression and anxiety, since as curcumin is entirely natural and has little to no side effects. Antidepressant drugs, on the other hand, can cause insomnia, tremors, nausea, headaches, increased anxiety, and vision problems. Related: Could You Have A Serotonin Imbalance? Heart disease has many contributing factors, and research suggests that curcumin may have a positive effect on many of them. Inflammation in the blood vessels is a major cause of heart disease and stroke. By using curcumin to reduce inflammation, you may be able to reduce the risk of getting heart disease in the first place. Polyphenols like curcumin can also reduce the clumping of blood platelets and block blood vessels. Curcumin modifies the production of an enzyme that promotes blood clotting and can, therefore, reduce the risk of deep vein thrombosis, pulmonary embolisms and strokes. Curcumin also improves the function of the endothelium which is the lining of the blood vessels. Endothelial dysfunction is a major contributing factor to heart disease because it reduces your body’s ability to regulate your blood pressure and can lead to blood clotting. If you have a bleeding disorder or take prescription blood-thinning agents, including aspirin and ibuprofen, I suggest that you consult your medical practitioner before supplementing with curcumin. High levels of bad cholesterol can also be a contributing factor to heart disease as the fatty deposits gather in your arteries, a condition known as hardening of the arteries. When the arteries are blocked, the heart has to pump harder to move blood through, thereby increasing the risk of heart attack. Traditionally cholesterol is managed using statin drugs, but these can have serious side effects such as causing harm to the liver and kidneys. Statins also fail to address the underlying cause of cholesterol, which can be linked to inflammation and high blood-sugar levels, amongst other things. Rheumatoid arthritis is a common inflammatory condition that leads to pain, swelling, and stiffness in the joints. By reducing inflammation and oxidative stress, curcumin can reduce joint pain and symptoms of this debilitating disease. People who suffer from inflammatory bowel diseases such as Crohn’s disease or ulcerative colitis are traditionally treated using anti-inflammatory drugs. While these drugs may help to reduce the patient’s pain, they can only be used short term as they can cause damage to intestinal lining and may make the condition worse. On the other hand, the results of studies done using curcumin to treat inflammatory bowel disease, suggest it can be an effective treatment without unpleasant side effects. The anti-inflammatory properties of curcumin can help to heal the gut and promote the growth of good bacteria. A 6-month study that tested curcumin plus Mesalazine (a common anti-inflammatory drug used to treat ulcerative colitis) against placebo plus Mesalazine, found the subjects who had taken curcumin were 4 times less likely to experience a relapse or flare-up of the disease during the test period. More human studies are needed, but results from early research into the use of curcumin for inflammatory bowel disease are clearly positive. Find out now by taking this free assessment. The relationship between cancer and curcumin is a controversial topic. Evidence from the few studies that are available suggests curcumin could have a powerful effect on both the prevention and treatment of cancer. Current research suggests eating cancer-busting foods such as curcumin can help reduce the risk, slow down the progression and even kill cancerous cells. People who eat an Indian diet have much lower rates of the most common cancers in the US — these being breast, prostate, colon, and lung cancer. There's a very good chance that this has to do with their diet. On various cellular levels, curcumin could lower the risk of a number of cancers or slow down their progression. Uveitis is caused when the blood vessels in the uvea — the middle part of the eye that includes the iris — becomes inflamed. It can be sudden (acute) or long-term (chronic), and the most common form is anterior uveitis or inflammation of the iris. Traditionally, uveitis is treated with corticosteroids, antibiotics, anti-inflammatories and immune system suppressants all of which can have unpleasant or even serious side effects. There hasn’t been much research done into the use of curcumin to treat uveitis, but the studies that do exist show positive results. Further curcumin research is needed, but if it can be proved to be useful in the treatment of uveitis, it could also have implications for the treatment of other eye diseases such as diabetic retinopathy, maculopathy, and glaucoma. Curcumin has been used in India in pastes, plasters, and ointments for centuries to promote wound healing. The anti-inflammatory and antioxidant properties of curcumin can also reduce skin cell damage caused by sun exposure, pollution, and other toxins. A trial carried out at the University of Rochester on breast cancer patients suggested that curcumin could also be effective in treating radiation-induced dermatitis. Every day you are exposed to toxins, from disease, your diet and even the air you breathe. Intentional detoxification — ridding your body of the chemicals and poisons that prevent it from working efficiently and cause disease — is now a common practice. But your body also has its own natural detox systems. Curcumin can benefit your health by enabling the detox systems in your body to work more effectively. For instance, the liver flushes out harmful toxins from diet and the environment. Curcumin can help keep your liver healthy and functioning efficiently. So, you may be convinced about the health benefits of curcumin, but what are the side effects and is it safe for everyone? Most people will experience zero curcumin side effects, whether they ingest it as part of their diet or take it as a supplement. There have been rare reports of people experiencing an allergic reaction when applied to the skin and/or mild symptoms of nausea and diarrhea when taken orally. But compared with the adverse effects of anti-inflammatory drugs, antidepressants or statins, curcumin side effects really are minimal. As with any supplement, if you have a health condition or are taking drugs regularly, it’s wise to check with your doctor before adding curcumin to your stack. Curcumin might affect the efficacy of some medications such as the anticoagulants aspirin and Warfarin. Be careful also if you regularly take anti-inflammatory drugs such as ibuprofen or diclofenac. People with health conditions such as diabetes, gallbladder dysfunction, bleeding or hormonal conditions, men with fertility issues, people with iron deficiency or who are due to have an operation, should consult with their doctor before taking curcumin supplements. It is not recommended for pregnant women to take curcumin as it can cause uterine contractions. At this point, you should be convinced that turmeric, with its active ingredient curcumin, is truly an incredible substance with many health benefits. Curcumin is most often used in three forms: as a spice (turmeric) added to food or made into tea, or a supplement. When cooking with turmeric or using it in drinks, it’s really important that you find the purest form available. If you use turmeric powder, make sure you choose organic and source it from a reputable natural store. The best way to ensure you are getting the purest form possible is to buy organic turmeric root and grate it yourself. You’ll need to peel it like you would a ginger root first. Wrap any leftovers well and it will keep in the fridge for 7-10 days. You don’t have to eat curry or yellow mustard to get a curcumin hit in your diet. There are lots of ways of adding turmeric to your daily dishes. An easy way to incorporate curcumin into your diet is to drink turmeric tea. This nutritious drink is very simple to make, requires just a few minutes prep time and a handful of quality ingredients. Why not try this nutrient-packed recipe? Don’t forget to let us know what you think in the comments! Apart from the health benefits of the turmeric in this tea, combining it with certain other ingredients can improve its effect and taste. Coconut milk is a natural fatty acid that will reduce inflammation, give your heart a boost, and as curcumin is fat soluble, it will also help your body absorb the nutrient. To increase the healthy-fat content further, you could also add a cup of ghee (unclarified butter) or hemp seeds which contain omega 3 fats. Honey is not only a tasty natural sweetener, it’s also packed full of vitamins and minerals and is good for your gut. Ginger, cinnamon, cloves, and nutmeg are all anti-inflammatory ingredients and can be added according to your taste. You can also substitute cardamom seeds, goji berries or a pinch of cayenne pepper. Black pepper can be added to aid absorption, but be careful if you take medication, as piperine (the active ingredient in black pepper) can stop drugs from working effectively. While adding turmeric to your diet can only be good for your health, if you really want to see the health benefits you need to take a supplement. Why? Most commercially available turmeric powder only contains about 3% of the active ingredient, curcumin. To really experience the health benefits you have read about in the curcumin research studies, you have to replicate their use of the active ingredient. How Much Curcumin Should You Take Daily? You need to take doses of at least 500 mg of turmeric extract daily for it to make a difference to your general health. You might even need to take more if you want to use it to treat a specific condition. The US Food and Drug Administration (FDA) does not have a recommended daily dosage of curcumin, so the following information is based on the quantities used in clinical trials. If you have a health condition, always consult with your doctor before starting a new supplement. Get advice about how much curcumin should you take daily in order to get the health benefits you need and check that it doesn’t interfere with other medicines you take. As you can see, it would be extremely difficult to consume this much curcumin from powder added to food or grated root brewed into tea. And the news is actually worse than that. Curcumin is considered by scientists to have low bioavailability. That means, even if you could consume enough curcumin through your diet, it would be very difficult for your body to absorb the nutrient and use it effectively enough to see the health benefits. Are Curcumin Supplements Worth the Money? If we can’t eat or drink enough curcumin from turmeric powder or root, we turn to supplements instead. But all supplements are not equal, and there are two specific problems with many of the curcumin supplements available on the market today. In order for your body to be able to use curcumin, it needs to reach your intestinal wall where it can be absorbed into your bloodstream. Most curcumin supplements aren’t stable enough to withstand the pH levels in the intestines. This means they don’t make it far enough into your digestive system and are flushed out by the liver before the active ingredient can be absorbed and used. In fact, they are excreted from the body within 2 hours of being consumed. The second problem with supplements is they may only contain a fraction of the recommended curcumin dosage. In the same way that most medicinal mushroom supplements don’t contain the science-tested amounts of the active ingredients, many of the turmeric and curcumin supplements on the market are cutting you short and not accurately listing the ingredients on the label. In fact, a number of products tested by consumerLab.com contained less than 50% of the active compounds than a high-quality curcumin product. To truly get the potent health benefits, you need to take a high-quality supplement with the science-tested curcumin dosages and maximum bioavailability, otherwise, you’re just wasting your money. Many curcumin supplements contain piperine, (BioPerine or black pepper extract), and you may have read advice about combining black pepper with turmeric in your cooking to make it easier for your body to absorb the curcumin. This is because scientists discovered that when curcumin is combined with black pepper the absorption of curcumin is greatly enhanced – and it stays in the bloodstream longer. This may be one of the reasons why the benefits of curcumin are clearly seen in the Indian population — black pepper is another common ingredient in curries. But there are two problems with using BioPerine to increase the bioavailability of curcumin. First, for some people, BioPerine causes gastrointestinal problems. Secondly, BioPerine stops the process of glucuronidation. Glucuronidation is a process that takes place in the liver. It involves a molecule which is attached to drug molecules to signal that they should be flushed away through urination. This is a natural defense system that prevents your body being damaged by too high a level of medication (in other words, it helps to flush them out). Unfortunately, sometimes this process also prevents drugs or supplements staying in your system long enough for them to work. When you consume BioPerine, it stops some drugs and supplements (including curcumin) being excreted, thus improving their bioavailability. But, by consuming supplements containing BioPerine, you are stopping your natural defenses from working, which could mean you are subjecting your body to too-high levels of drugs. This is why, if you’re taking any prescription or even over-the-counter medicines, it’s very important to check with your doctor before adding any supplements containing black pepper extract in your stack. For these reasons, at Natural Stacks, we do not include BioPerine in our curcumin supplement. The key to picking the best curcumin supplement is making sure it is both optimized for absorption and contains the correct amount of pure curcumin. There are three main types of curcumin available on the market today: life extension curcumin, liposomal curcumin, and solgar curcumin. Life extension curcumin uses an extract that is reported to be 7 times more easily absorbed than conventional curcumin extracts and stays in the body for twice as long. Liposomal curcumin is a bubble containing the liquid extract that is manufactured to resemble a cell. The structure of the bubble makes the extract easier to digest and absorb. Liposomal curcumin is reported to be 29% more absorbable that native curcumin extract. Solgar curcumin takes 95% pure extract and uses technology to surround it with tiny spheres called micelles, a special type of molecule developed to increase the bioavailability of medicines. The result is a supplement that is 185x more easily absorbed than native curcumin extract. It stays in your system for 24 hours, 12 times longer than native extract, which means you only have to take 1 soft-gel tablet a day. Which is the best curcumin supplement? The absolute best curcumin supplement I know of is administered in a liquid form encased in a micelle. This novel curcumin formula goes by the trade name NovaSOL® Curcumin. Just two small capsules of NovaSOL® delivers the equivalent of the maximum dose of curcumin of 10 to 15 grams per day. You would have to take more than 25 capsules of conventional turmeric powder to get the same amount of curcumin as in this scientifically developed product. In a study carried out in Germany, 23 healthy subjects took a single 500mg dose of curcumin in different forms. The liquid micelle was found to be the most bioavailable form by far. In fact, it was 185x more bioavailable than the native powder. And whereas most forms of curcumin are excreted from the body with 2 hours, the liquid form remains in the blood plasma for 24 hours, which gives the body much longer to absorb and use it. Another study which focused on curcumin safety involved 42 subjects who were given a liquid curcumin micelle or a placebo for 6 weeks. So, how do we at Natural Stacks make sure our supplements are optimized for absorption and contain the curcumin dosages proven by science to be the most effective? We take 95% pure curcumin extract— purified and concentrated from raw turmeric root — and combine it with organic coconut oil. Coconut oil contains triglycerides that support healthy metabolic function and is known for its antibacterial, antimicrobial, and antiviral properties. In addition, coconut oil adds to the bioavailability of curcumin as the active ingredient is fat soluble. We then use NovaSOL® technology to suspend the extract in tiny spheres called micelles. This transforms the extract into a body-ready liquid that can be immediately absorbed into the bloodstream without the need for black pepper. This is the patented liquid curcumin we use in Natural Stacks Liquid Curcumin with Organic Coconut Oil. It is 185x more bioavailable than turmeric powder and 10x more bioavailable than a fully standardized (95%) curcumin extract. I believe that this product finally unlocks the full benefits of curcumin to improve your general health and relieve chronic inflammatory conditions. It's also very possible that it helps manage or even prevent heart disease, cancer, depression, anxiety, and blood sugar disorders. Natural Stacks Liquid Curcumin is the most bioavailable curcumin extract available on the market. The amount of time it will take for you to notice the health benefits of curcumin will depend on a variety of factors, including your dosage and the severity of your health issue(s). 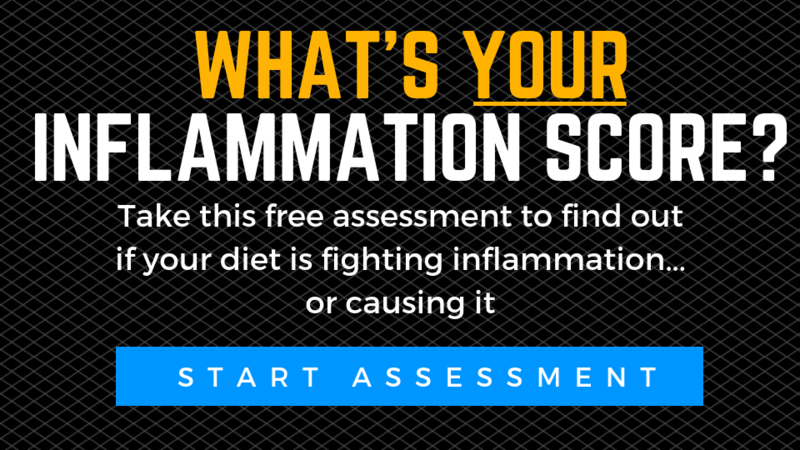 If you want to reduce inflammation, it will be a gradual process and you may not feel the benefit straight away. As the half-life of curcumin is so short, it’s essential that you take your supplement regularly. How long it will take curcumin to work will also depend on the quality of the supplement and its bioavailability, so this is another reason to make sure you choose a supplement that is based on 95% pure curcumin extract and is optimized for absorption. What are the Benefits of Curcumin for Dogs and Cats? So, if adding liquid curcumin to our stack has so many health benefits, should our pets be taking it too? What are the curcumin benefits and side effects for our animals? As animals age, they suffer from the same inflammation problems we do. They can end up with issues such as heart disease, cancer, arthritis, digestive problems, and poor brain health. So let’s review whether turmeric and curcumin are as good for dogs and cats as they are for us. There are very few studies available on the effects of curcumin on animals, but many holistic vets are convinced that this wonder-ingredient can be as beneficial for our pets as it is for us. Unfortunately, curcumin supplements for animals have the same issues that the human supplements have. They are often unstable at the pH levels in the intestine. The active ingredient is, therefore, poorly absorbed and often just passes through the body and is eliminated. In addition, many supplements don’t contain enough of the active ingredient to work effectively even if it could be absorbed, and they also often contain unnecessary additives and fillers. So how do you find a curcumin supplement for your pet that is worth the money? You need to use the same criteria to choose supplements for your pet that you use to choose supplements for yourself. Make sure there is enough of the active ingredient in the supplement you choose and that it is bioavailable. Also, bearing in mind the short half-life of curcumin, make sure your pet supplement is controlled release, so your dog or cat gets a steady blast of curcumin throughout the day. For animals, just like humans, curcumin side effects are minimal. If your pet starts to vomit or has diarrhea when you introduce the supplement, stop giving it to him until he is recovered and start again at a lower dose. If your pet is on any medication or has any health conditions, consult with your vet before giving him the supplements. With all the research going on, I believe that in the future we are going to see ever-increasing use of curcumin to prevent and reverse disease. What is curcumin? Possibly the most powerful natural anti-inflammatory and antioxidant we know about. This wonder ingredient has many and far-ranging health applications, from preventing heart disease to treating Alzheimer’s and research suggests it may even have applications for cancer. Possibly the best thing about curcumin is the fact it is natural and doesn’t have the same toxic effects as synthetic drugs. If you're taking a curcumin supplement, be careful what you buy. Make sure that it is a high quality product containing 95% curcuminoids and that it's offered in a format that ensures bioavailability. And don't be shy about asking your doctor how much curcumin to take in order to get the health benefits your body needs. At the moment the best curcumin supplements on the market are those containing NovaSOL® Curcumin. Do you take a curcumin supplement? What health benefits have you noticed? 3. Takada Y., et al. "Nonsteroidal anti-inflammatory agents differ in their ability to suppress NF-kappaB activation, inhibition of expression of cyclooxygenase-2 and cyclin D1, and abrogation of tumor cell proliferation." Oncogene. 2004 Dec 9;23 (57): 9247-58. 4. Chuengsamarn S., et al. "Curcumin extract for prevention of type 2 diabetes." Diabetes Care. 2012 Nov;35(11):2121-7. 5. Maithili Karpaga Selvi N et al. "Efficacy of Turmeric as Adjuvant Therapy in Type 2 Diabetic Patients." Indian J Clin Biochem. 2015 Apr;30(2):180-6. 6. Banafshe HR et al. "Effect of curcumin on diabetic peripheral neuropathic pain: possible involvement of opioid system." Eur J Pharmacol. 2014 Jan 15;723:202-6. 7. WeiWu et al. "Effect of curcumin on rats/mice with diabetic nephropathy: a systematic review and Meta-analysis of randomized controlled trials." Journal of Traditional Chinese Medicine. Volume 34, Issue 4, 15 August 2014, Pages 419-429. 8. Gary W.Small M.D. et al. "Memory and Brain Amyloid and Tau Effects of a Bioavailable Form of Curcumin in Non-Demented Adults: A Double-Blind, Placebo-Controlled 18-Month Trial." The American Journal of Geriatric Psychiatry. Volume 26, Issue 3, March 2018, Pages 266-277. 9. Sanmukhani J. et al. "Efficacy and safety of curcumin in major depressive disorder: a randomized controlled trial." Phytother Res. 2014 Apr;28(4):579-85. 10. "Turmeric Extract Could Prevent Heart Attacks In Bypass Patients: Study." Huffington Post / Reuters. 04/15/2012. 11. Akazawa N et al. "Curcumin ingestion and exercise training improve vascular endothelial function in postmenopausal women." Nutr Res. 2012 Oct;32(10):795-9. 12. Usharani P et al. "Effect of NCB-02, atorvastatin and placebo on endothelial function, oxidative stress and inflammatory markers in patients with type 2 diabetes mellitus: a randomized, parallel-group, placebo-controlled, 8-week study." Drugs R D. 2008;9(4):243-50. 13. Alwi I et al. "The effect of curcumin on lipid level in patients with acute coronary syndrome. "Acta Med Indones. 2008 Oct;40(4):201-10. 14. Soni KB1, Kuttan R."Effect of oral curcumin administration on serum peroxides and cholesterol levels in human volunteers." Indian J Physiol Pharmacol. 1992 Oct;36(4):273-5. 15. Chandran B1, Goel A." A randomized, pilot study to assess the efficacy and safety of curcumin in patients with active rheumatoid arthritis." Phytother Res. 2012 Nov; 26(11):1719-25. 16. Belcaro G. et al. "Efficacy and safety of Meriva®, a curcumin-phosphatidylcholine complex, during extended administration in osteoarthritis patients." Altern Med Rev. 2010 Dec; 15(4):337-44. 17. Agarwal KA et al. "Efficacy of turmeric (curcumin) in pain and postoperative fatigue after laparoscopic cholecystectomy: a double-blind, randomized placebo-controlled study." Surg Endosc. 2011 Dec; 25(12):3805-10. 18. Siew C. Ng, MRCP et al. "Therapeutic Strategies for the Management of Ulcerative Colitis." Inflammatory Bowel Diseases, Volume 15, Issue 6, 1 June 2009, Pages 935–950. 19. Robert E. Carroll et al. "Phase IIa Clinical Trial of Curcumin for the Prevention of Colorectal Neoplasia." Cancer Prevention Research, AACR. 20. Kunnumakkara AB1, Anand P, Aggarwal BB. "Curcumin inhibits proliferation, invasion, angiogenesis and metastasis of different cancers through interaction with multiple cell signaling proteins." Cancer Lett. 2008 Oct 8;269(2):199-225. 21. Subash C. Gupta et al. "Therapeutic Roles of Curcumin: Lessons Learned from Clinical Trials." AAPS J. 2013 Jan; 15(1): 195–218. 22. Baylor Scott and White Health. "Researchers Show Curcumin Protects Against Chemoresistant Pancreatic Cancer. " 27-Jul-2017. 24. Vaughn AR et al. "Effects of Turmeric (Curcuma longa) on Skin Health: A Systematic Review of the Clinical Evidence." Phytother Res. 2016 Aug;30(8):1243-64. 25. Ryan JL et al. "Curcumin for radiation dermatitis: a randomized, double-blind, placebo-controlled clinical trial of thirty breast cancer patients." Radiat Res. 2013 Jul;180(1):34-43. 26. Charles V1, Charles SX. "The use and efficacy of Azadirachta indica ADR ('Neem') and Curcuma longa ('Turmeric') in scabies. A pilot study." Trop Geogr Med. 1992 Jan;44(1-2):178-81. 27. Goud VK et al. "Effect of turmeric on xenobiotic metabolising enzymes." Plant Foods Hum Nutr. 1993 Jul;44(1):87-92. 28. Agarwal R et al. "Detoxification and antioxidant effects of curcumin in rats experimentally exposed to mercury." J Appl Toxicol. 2010 Jul;30(5):457-68. 29. Shoba G et al. "Influence of piperine on the pharmacokinetics of curcumin in animals and human volunteers." Planta Med. 1998 May;64(4):353-6. 30. Schiborr C et al. "The oral bioavailability of curcumin from micronized powder and liquid micelles is significantly increased in healthy humans and differs between sexes." Mol Nutr Food Res. 2014 Mar;58(3):516-27. 31. Alexa Kocher et al. "Highly bioavailable micellar curcuminoids accumulate in blood, are safe and do not reduce blood lipids and inflammation markers in moderately hyperlipidemic individuals." Mol. Nutr. Food Res. 2016, 60, 1555–1563. 32. S. Hagl et al. "CURCUMIN MICELLES IMPROVE MITOCHONDRIAL FUNCTION IN A MOUSE MODEL OF ALZHEIMER’S DISEASE. "J Prev Alz Dis 2014;1(2):80-83.